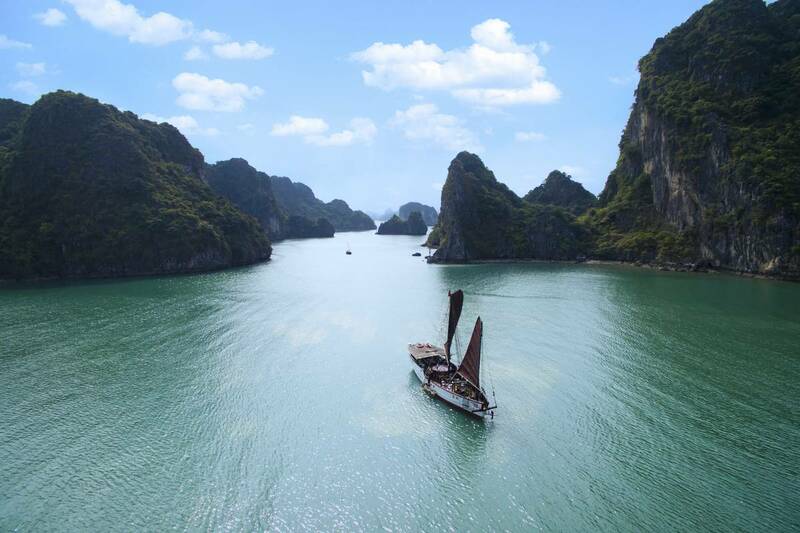 Halong Bay is a must-see destination in Vietnam to welcome million tourists every year. If you area having some troubles in finding your right Halong Bay overnight cruise, this little travel guide with updated information for 2018 is for you. 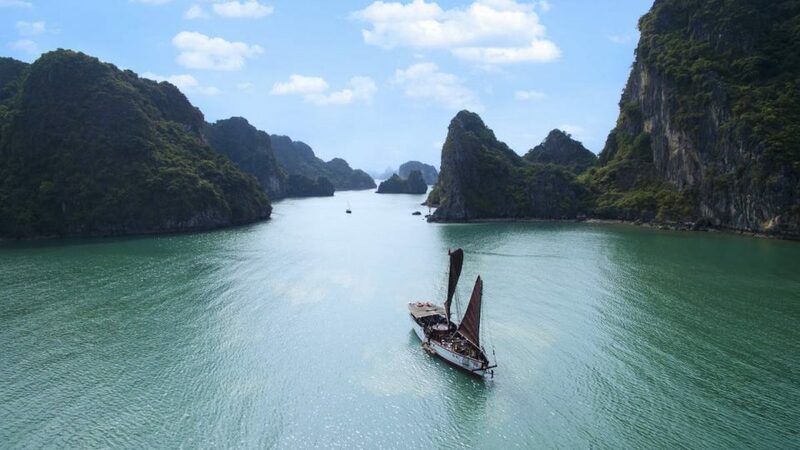 Halong Bay locates in the Northeast of Vietnam, in Quang Ninh province, 160 km from Hanoi capital. The bay is a system of legendary islands covering over 1969 islets with water body. It consists of two types; Limestone & Slabs which made the marvelous landscape of Halong Bay, dotted many sandy beaches and caves, about 40 caves and grottos are discovered, 20 of them are opened for tourists. Halong Bay devides into 3 different areas (Halong Bay center, Bai Tu Long Bay and Lan Ha Bay), now all these areas are possible to discover on overnight cruise trip. Halong Bay is situated in the Northeastern part of the country, its weather is different in 4 seasons (spring, summer, fall, winter) but it can be mainly divided into cold dry winter and hot humid summer. Summer (May – Aug): the whole region is quite hot, perfect for swimming and sun-bathing. There is light rain in some days and even unexpected typhoon at the end of the summer that might cancel your trip. Autumn (Sept – Oct): the weather is cooler with the chance of storms although they are short lived. The air is clear, perfect for photography and all our scheduled activities. Winter (Nov – Jan): Although the winter months from late November to January are quite cold and dry, it is the peak season for the bay. Early morning fog cloaks the islands of Halong in a mysterious beauty. Spring (Feb – Apr): is glorious, with clear skies and cool evening breezes. Flowers begin to bloom and trees and bushes sprout new foliage. There is still the possibility of rainy and foggy conditions during the spring months, but the fog is not as thick as it is in the winter.